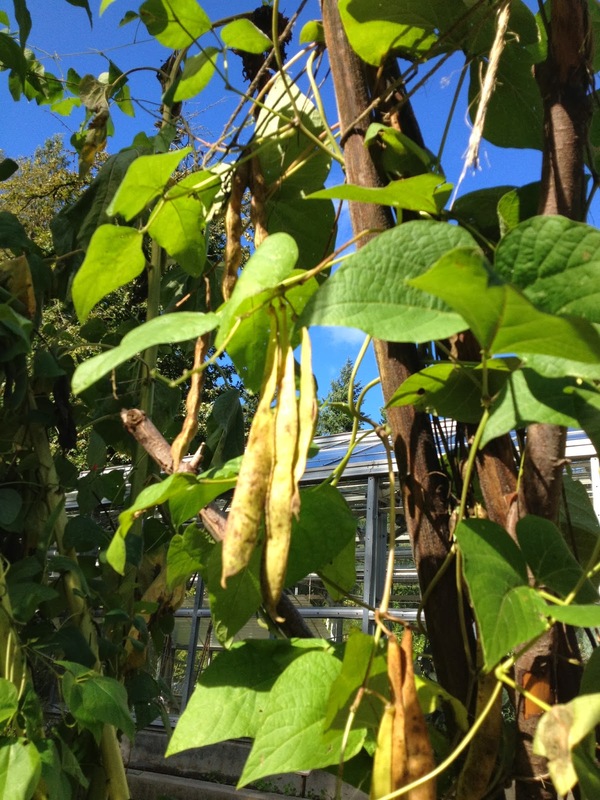 Inside these brown, decaying looking bean pods is something quite magical. 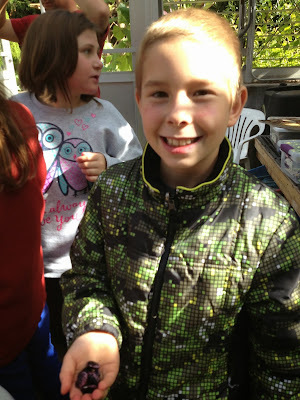 And it is really fun to show our SOP kids the colorful surprise inside! I wish I could have recorded the 'oohs' and 'aaahs' that were exclaimed as we opened the bean pods. 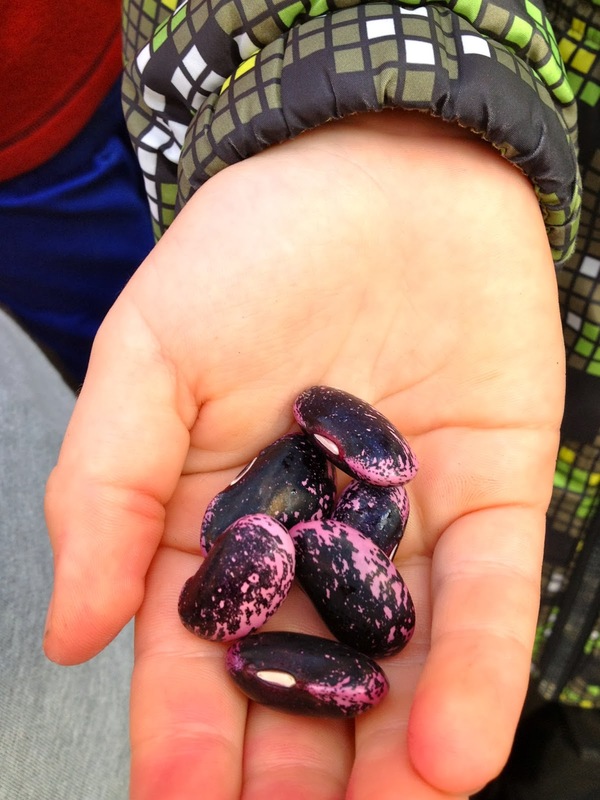 Beautiful, brightly colored beans emerged from very "dead-looking" pods and truly enchanted the children. The bright pink, purple and navy blue colors were unexpected to find inside such a dull wrapper. And with this kind of excitement generated by the harvesting of bean pods, we must truly proclaim them "Magic Beans". Labels: SOP Schools, What's Growing?